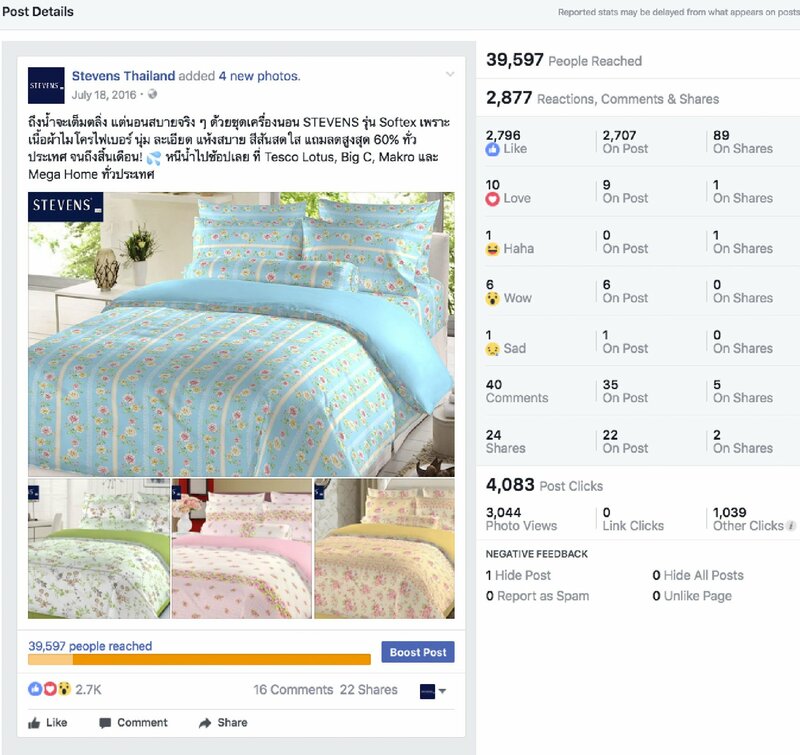 After 19 years in the Thai mass-premium bedding market, Stevens’ name was completely unknown to an emerging generation of consumers. Despite producing quality beddings at affordable prices, Stevens suffered from a lack of brand recognition. 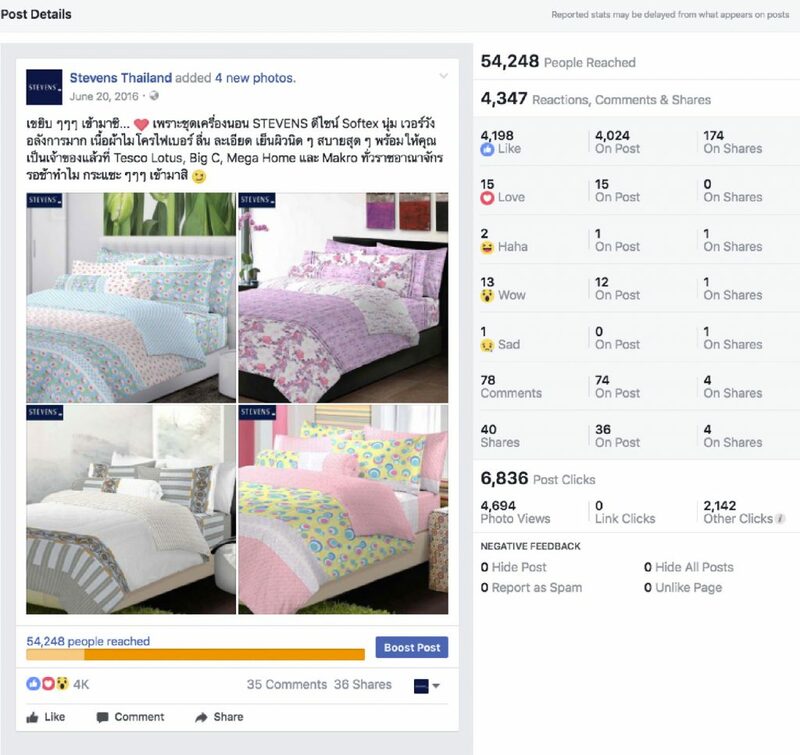 To build awareness among Thai hypermarket shoppers: housewives, first jobbers, women who are going through important life events, to name a few. To find a unique position for Stevens that would differentiate the brand from competitors. Most importantly, to convert Facebook and Instagram affinity into actual purchases. Working with Stevens’ team, we developed a social media communication & advertising strategy. From young office ladies in Bangkok to wholesalers in Nong Khai, each desired target group was profiled thoroughly. We dug deep to make sure that our advertisements would be served to potential customers at the lowest cost possible. Stevens’ Facebook page launch was phenomenal. We set up and grew the page from zero to 20,000 fans within the first two months. The cost per fan acquisition was as low as USD 0.03. Former customers were reconnecting with the brand, and new fans were looking for a value-for-money buy. Messages and comments were overwhelming in numbers and showed genuine interest in Stevens products. 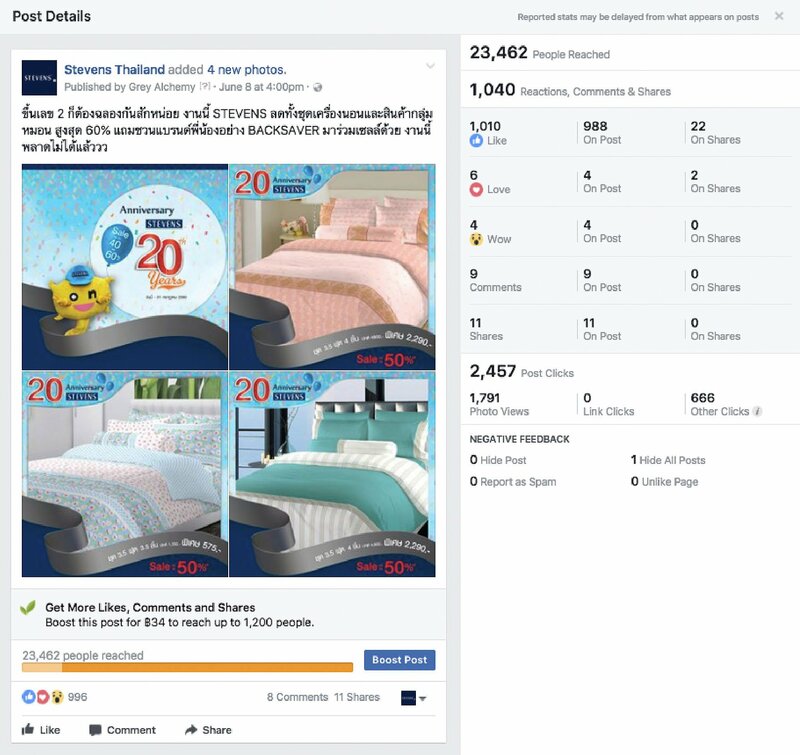 With products sold in over 50 provinces and more than 150 outlets, Stevens required an elaborate targeting that needed constant adjustments. After identifying core customers of the brand, we kept narrowing and expanding the audiences, depending on where the promotions and events took place. We tested and compared our target groups repeatedly to learn more about those who had converted into actual customers, and how we could reach them more precisely and cost-effectively. For instance, targeting first jobbers might be more cost-efficient in Bangkok, while for upcountry we sought out the more mature and wealthier women who were in charge of the household budget and buying decisions. Our effort paid off. Over time, Stevens Facebook page saw more and more comments in and out of Bangkok, inquiring where the products were available and if they could be purchased online. In addition to social media communication and advertising strategy, we developed a practical guide on the brand’s voice. While beddings are arguably not the most engaging content on social media, we turned the table around by using humor and social media activities in which everyone could participate. We integrated Thai-style humor in our ad copies and made no compromise on colloquial linguistics and allusions. Most importantly, Stevens’ tone had to be humble and relevant to current happenings in the country. 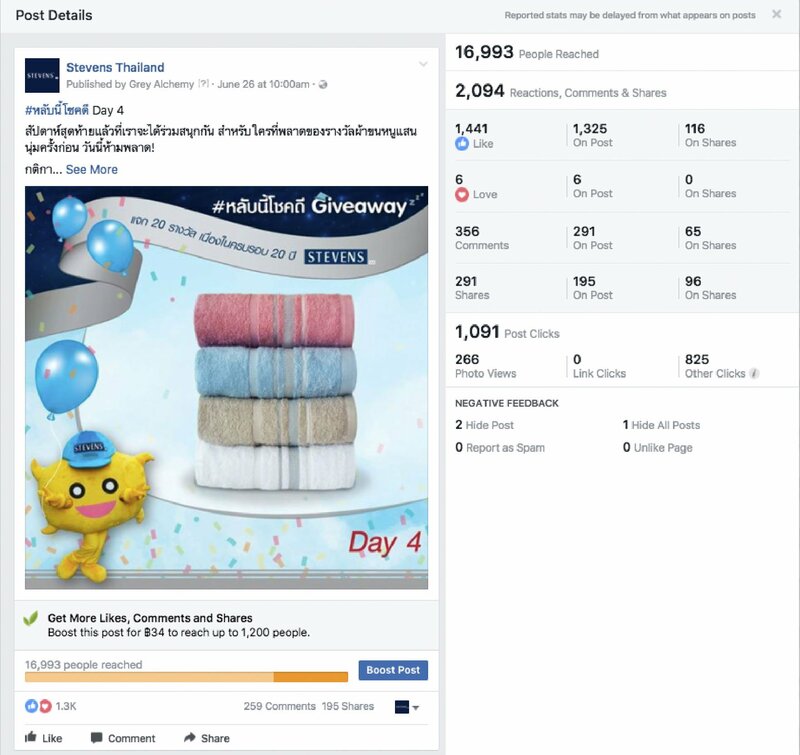 Through a comprehensive content strategy, in-depth target profiling, advanced advertising, and a tongue-in-cheek humor that resonated well with Thai people, we introduced Stevens to new Thai consumers and successfully rejuvenated the brand.